"Sunny Days"..Sesame Street has been enchanting children for over 39 years. Now you can have your very own character from the Sesame Street gang! Everyone's favorite little red monster is back, with his soft, shaggy red plush coat, plastic eyes, a soft, sewn on orange nose, and a black mouth stitched permanently into the smile we have all grown up with! "Elmo" is 15-inches tall and his bottom is weighted with plastic pellet beans to help him sit up unassisted. 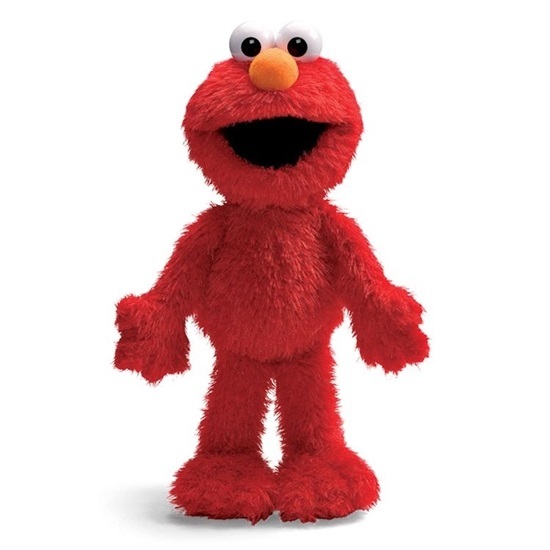 We are authorized GUND retailers and certify that "Elmo" comes new, direct from the manufacturer, and has been kept in a smoke free doll shop.